The Stockwork Hill deposit consists of composite intrusions hosting gold-rich porphyry copper mineralisation circa 800 X 400 metres and extending to a depth of at least 600 metres. - 294 metres at 0.47% copper and 0.85 g/t gold (1.01% copper equivalent) from 466 metres, including 86 metres at 0.78% copper and 1.91 g/t gold (2.0% copper equivalent) from 558 metres. Significantly, the presence of bornite (an ore of copper) suggests this new zone of mineralisation is closer to the high-grade core of the system. Further drilling is underway to expand this new zone by deepening several shallower holes above and along strike of the targets. 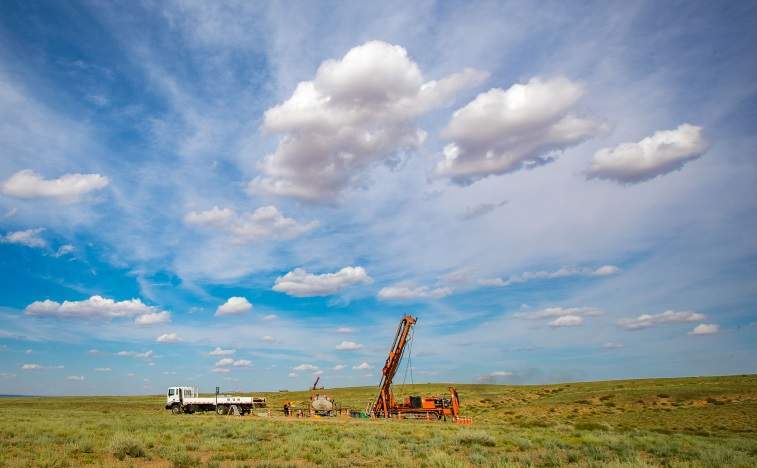 Andrew Stewart, managing director, commented: “We are excited that hole KHDDH419 successfully demonstrated a clear extension of high-grade mineralisation along strike and at depth outside the current resource model. “We are particularly excited with the new results from this hole which has discovered a new zone of gold-rich copper porphyry mineralisation, representing the downthrown block of the main Stockwork Hill deposit. “The high-grade extensions we have identified provide the opportunity to assess Stockwork Hill as a potential underground resource that has the potential to deliver significant additional value to the Project”.